The APEX servo gearbox has been designed for direct attachment to popular servomotors. The power is transmitted from the motor to sun gear. The sun gear drives three planet gears, which are contained within an internal toothed ring gear. The planet gears are mounted on the planet carrier with double wall supports. The planet carrier is part output shaft. So when the sun gear rotates, it drives the three planet gears inside the ring gear. 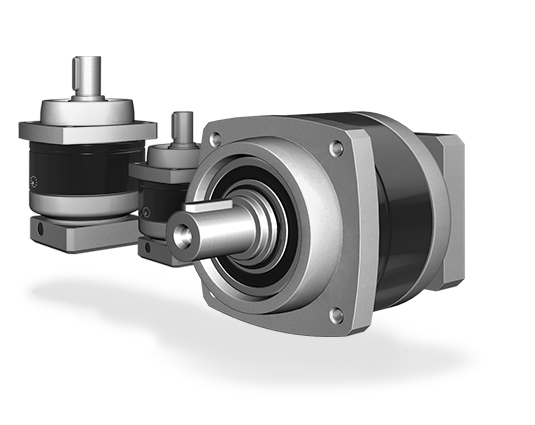 As planet gears rotatev with carries and automatically the output shaft rotates. Due to the load sharing into multiple tooth contacts, the gearbox provides the highest torque and stiffness for a given envelope. The other significant advantages are simple and efficient lubrication and a balanced system at high speeds. The balanced kinematics and the associated load sharing makes the gearbox truly ideal for servo applications. 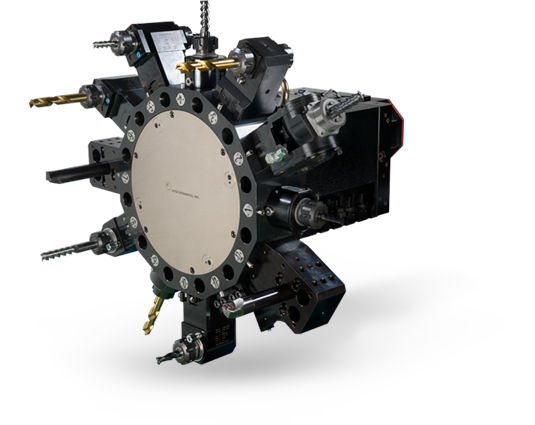 APEX DYNAMICS, INC. based on the great know-how in design and manufacturing of the high precision planetary gearbox, the innovation spirit of APEX Dynamics takes the next step to another high-end key-component for the industrial application – The Single Motor driven Power Tool Turret. APEX has over 90% self-production rate of all components and parts in order to strict control the quality of turret. In addition, APEX turret adapts single motor single servomotor technology for driving the tool disk and cutting tools with high speed for enhancement work efficiency. Moreover, super rigid and large-scale three-piece curvic coupling can ensure high indexing accuracy and repeatability accuracy. Furthermore, torque Limiter Safety clutch can prevent damage due to collision. APEX Robot was founded in Lu-Chou Taipei County in 1987. APEX was the first Taiwanese mass production robots factory in 1989. Robots are for replacement manpower to take molded parts or runners out from injection molding machine. With the changing times robots can be applied for fully automation and unmanned working environment. 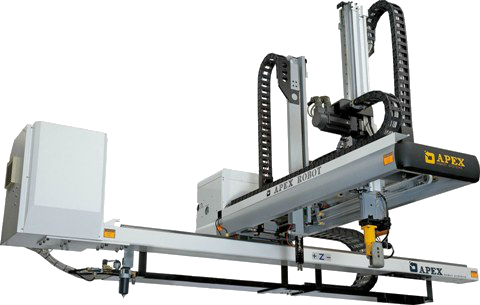 To work with robot software, end of arm tooling and other ancillaries robots can do feeder insert, conveyor, package, cutting, weight scale and automation storage system. Using robots can increase production, decrease defective rate, improving working environment, faster recover investment and extended mold life, furthermore, to create company image and expand competitiveness, this is the only solution to conquer the sharp increasing manpower cost.